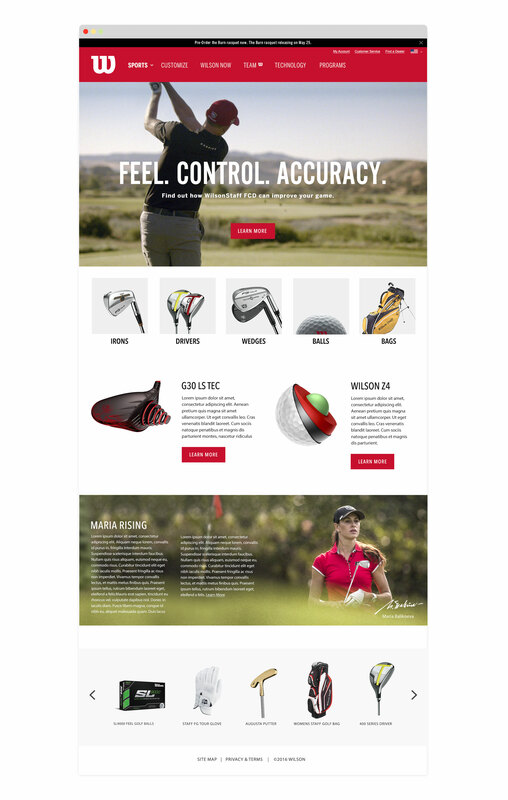 Wilson is a 100 year old sports company with a long legacy of sponsoring top athletes. This site was part of a brand overhaul. 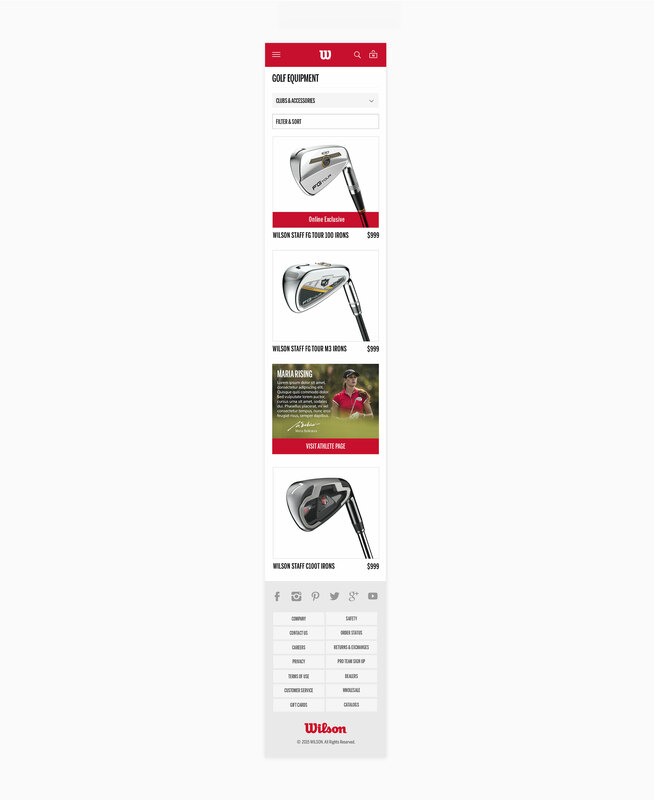 I was assigned with creating a site for their golf division. A key part of the brief was to highlight their all-star roster of golfers.